While visiting Keech Hospice in Luton, England on August 24, Prince William met a 14-year-old boy grieving the loss of his mother, and shared some heartbreaking advice to remind him that he wasn't alone. "Time makes it easier," he told the boy, Ben Hines, according to The Telegraph. "I know how you feel. I still miss my mother every day—and it's 20 years after she died." Prince William was only 15—barely older than Ben—when Princess Diana was involved in a fatal car crash in 1997. 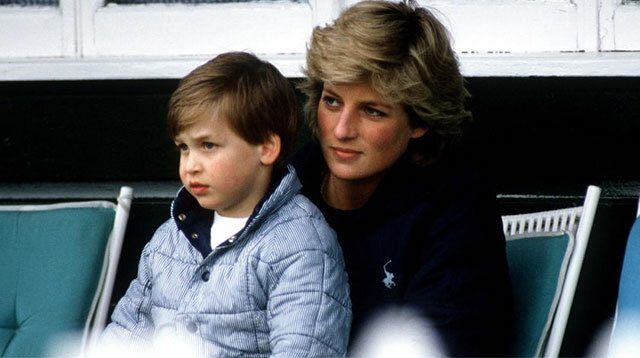 According to Ben's father, it was obvious that his son's story had "struck a chord" with the prince, and he gave the 14-year-old his "absolute attention" while he talked about his mother and how much he missed her. At some point, Prince William put his hand on his shoulder. "Promise me that you will talk to each other," he told Ben, his two brothers, and his father. Men, he explained, aren't "great sharers"—echoing his sentiment from earlier this year while campaigning for fathers to be more open with their kids about mental health.